Experience LTL’s exclusive homestay program in Taipei. To bring you the best host families in Taiwan we have a rigorous selection process for our families. 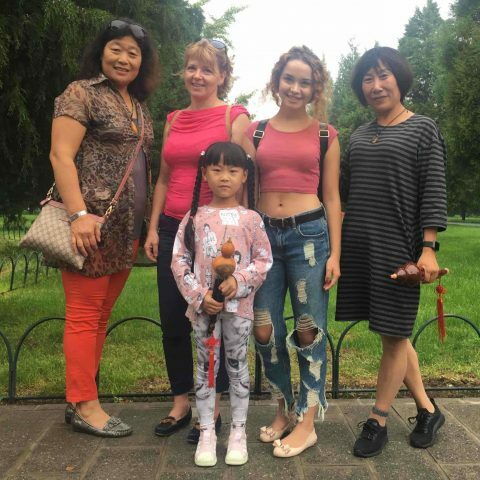 All our families speak zero English and the experience will allow you to benefit from Mandarin outside of the classroom, enhancing your speaking and listening ability at a rate of knots. Get the most out of your Chinese learning, and experience the language and culture of Taiwan like a local. 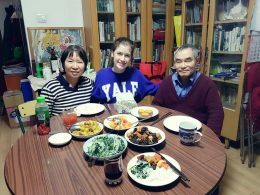 If you want to truly learn Chinese, the best way is to stay with a host family. This will give you the opportunity to practice every day, learn in class, practice at home. It is not difficult to see why our homestay’s are so popular with our students, this is the best way to learn Chinese language and culture. CONTACT US – Contact us, and let us know what exactly you are looking for. That way we can assist and advise you. LET US KNOW WHAT YOU NEED – Complete our Homestay Questionnaire on the website. This will allow us to place you with exactly the right host family based on your answers. ONE WEEK BEFORE ARRIVAL TO TAIWAN– We will send you the address, contact information, and pictures of your homestay. Feel free to contact your host family directly. DAY OF ARRIVAL IN TAIPEI- If you’ve booked an Airport Pick up or Survival Kit our private driver will be on hand to collect you. If not, you can head to a taxi and show them the address for your homestay. 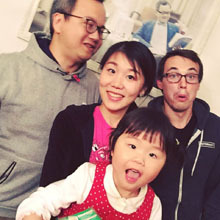 Once you arrive at your homestay you will enjoy introductions with your new Chinese family and settle in. Your host family will treat you to dinner, and you’ll make your first steps with the Chinese language. FIRST DAY AT LTL SCHOOL – Your host family will accompany you to LTL on the first day of class, so you don’t have to worry about getting lost. 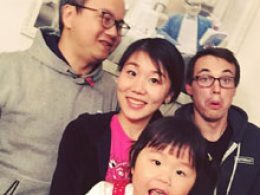 Meet the teachers, the LTL staff and your fellow students and get settled into life in Taiwan. The table shows a full list of prices for our Host Family program in Taipei . All prices are shown in New Taiwan Dollar (TWD). We can also put you in touch with other students who have done our homestay program to put your mind at ease. If you need further information just get in touch using our live chat or drop us an email. Why are homestays more expensive than shared apartments? In a homestay you will become part of the host family. You will not just stay in a hotel room, or an apartment. You will be able to enjoy home cooked, local food every day. You will be immersed in Chinese language and culture, and your language skills will improve accordingly. In addition, host family accommodation usually provides a higher standard of living compared to the other accommodation options. How many students will there be in my homestay? There will always only be one student per homestay. That way the family will be able to focus solely on you, and as a result the bonds between you and the family will be stronger. This allows for complete immersion which is the whole point in our Chinese Homestay Program. Your time at the homestay will consist of 100% spoken Mandarin. 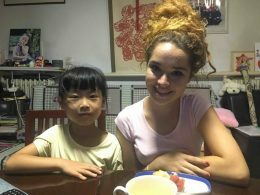 If I want, can I stay with my friend at the same homestay? We can arrange this if you so wish. Speak to us and we will work with you accordingly although homestays maximise their potential when it’s one student per household. Do I have to join for Breakfast and Dinner every day? You do not have to join for every meal, but we do advise you to inform your host family ahead of time if you are not going to eat with them. Your host family will accompany you on your first day of class. On average the commute will take 30-45 minutes one way. Taipei has a well developed and convenient public transportation system. Can I lock my bedroom door for privacy? I heard Taipei can get hot in the summer, will there be air conditioning in my room? Yes there will be both air conditioning and heating. What sort of food can I expect to eat? A whole variety of local, authentic dishes will be at your disposal. Your host family will prepare dinner every evening for you. Anything from homemade dumplings, noodles, different kinds of meats and many more. The cuisine in Taiwan is delightful and we are convinced you won’t be disappointed. Can I request a smoke free homestay? Of course you can. Any queries you have we will cater for when selecting your homestay family. Yes you will and in many instances your host family will offer to do this for you. Each homestay family will have access to a washing machine.